The Schizophrenic Christian Hip Hop Show is dedicated toward showcasing music that has a redeeming value to the message. The music can glorify God or communicate an idea that will inspire and uplift the listener. Great music, great artists, with a greater God. R&B Sensation is your home to some of the hottest R&B tracks from across the internet. This isn't your typical slow jams, ballad based, radio show. Our live DJs provide the vibe for you to wind down and set the mood to cuddle up with a nice drink from a long day or vibe someone special and finish off the night in a memorable way. Headliners is your one stop shop to hear all your club bangers. 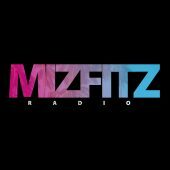 MizFitz Radio is bringing some of the worlds top DJs in to rock out a high energy set. Why pay all that money to head to the club, when you can have a party in your living room with our list of award winning DJs. Here you'll hear dope music originating from all over the world making you want to dance the night away.